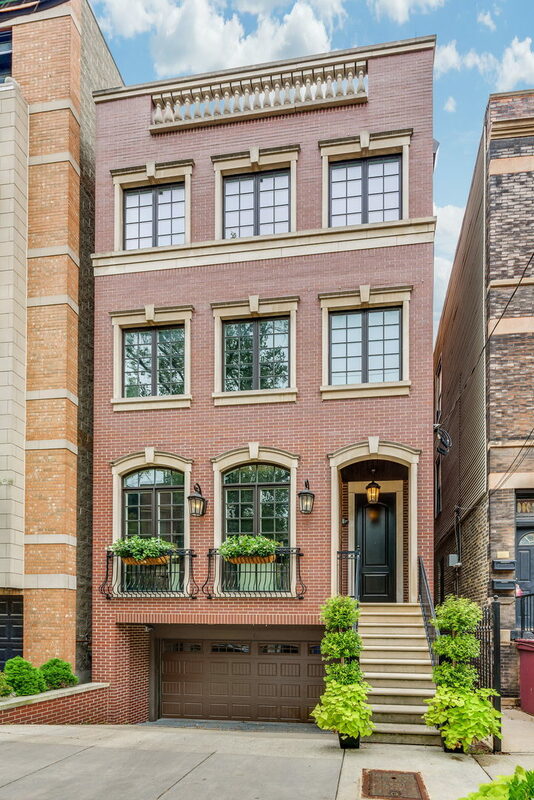 Situated in Chicago&apos;s coveted Old Town neighborhood, this incredible home is walking distance to the lake, some of the best schools, great restaurants, shopping, and more! Spanning 6,200+ SF of indoor space & over 2,500 SF of outdoor space, this home has a bright and airy feel & includes luxurious amenities, such as an elevator & custom cabinetry throughout the house. Gourmet kitchen contains SubZero & Wolf apps, marble countertops, a dining banquette, a butler&apos;s pan w/wet bar & wine frdg. The spacious mstr ste has double WIC&apos;s, a gorgeous frplc, and a great marble ba with spa shwr & sep tub. Addtl bedrooms w/ensuite bathrooms & large walk in closets. The 3rd floor also has an ofc & ldry rm. The 4th lvl of the home offers a fantastic penthouse entertaining rm w/wet bar and access to 2 patios which provides incredible city vws, outdoor kitchen, hot tub & fireplace making it an entertainer&apos;s dream. The LL features a living space w/media room & wet bar. 3car att gar & smart home equipped.